Description: The research of an error of the numerical solution of the differential equation with delay argument is carried out. This solution is received by a new numerically-analytical method with using of interpolated multinomial of Newton at the end of the table and has a form of the multistage recurrent formula. Under raising an order of the interpolator multinomial, the formula calculations have confirmed with the great accuracy the convergence of their results to value, which is practically reached on the seventh step. The using of the simple formula of linear interpolation is provided with sufficient accuracy of the calculation. Soloveva, O.I., Lapta, S.I., Lapta, S.S. and Butenko, N.S. 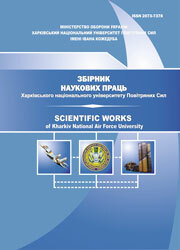 (2011), “Issledovanie pogreshnosti skhemy chislennogo resheniia differentsialnogo uravneniia s zapazdyvaiushchim argumentom”, Scientific Works of Kharkiv National Air Force University, Vol. 1(27), pp. 159-161.